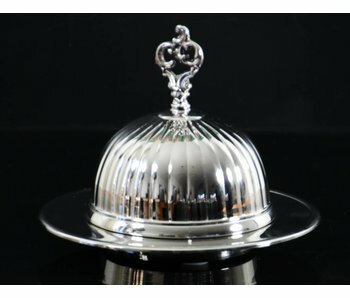 Hand made classic dish in Baroque style. 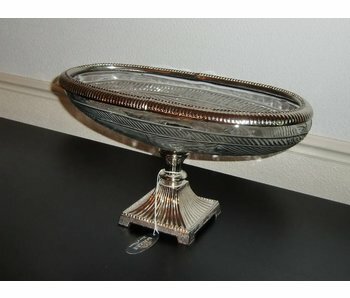 Size: 26 cm high, 36 cm wide. 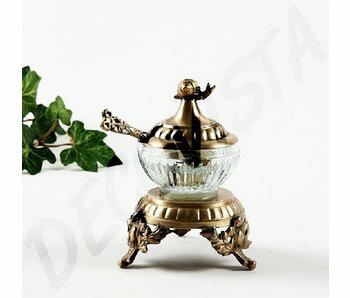 Material: nickel plated metall and glass. 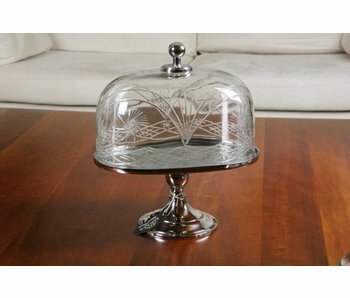 Chic Baroque Cake Plateau with glass lid: a addition to a classic interior. 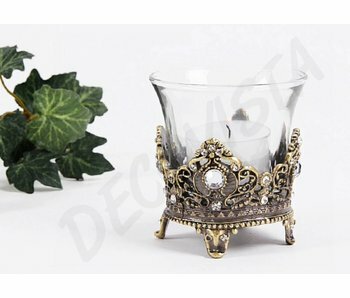 Material: Glass and nickel-plated brass. Size: Height 36 cm, diameter 27 cm. 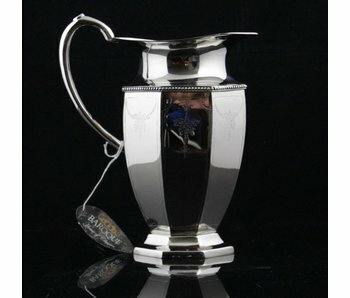 Stylish, eight-sided engraved jug / pitcher in classic style. The jug has a large pouring opening. 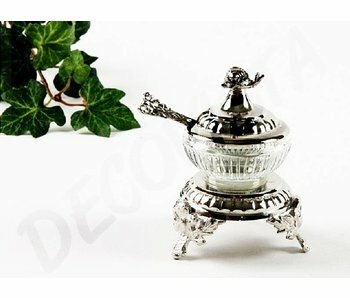 Made of nickel with the warm appearance of silver. Height 22 cm. 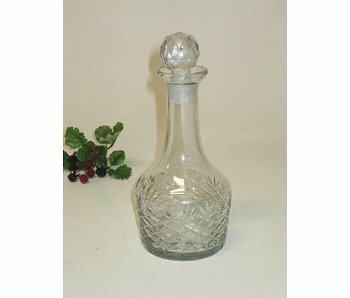 Hand cut glass decanter for water or wine.Size: height 20 cm, diameter 8.5 cm. 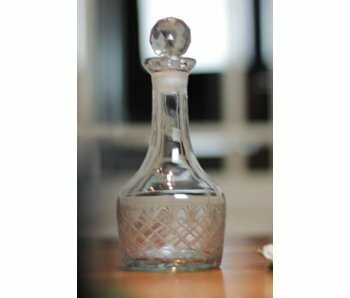 Hand-cut glass decanter with cut cap. 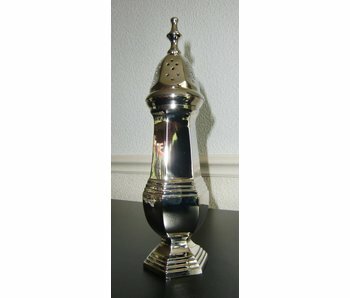 This wine decanter has a height of 24.5 cm x diam 8.5 cm. 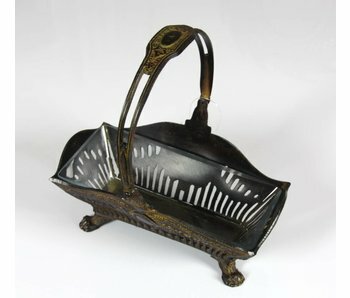 Handmade metal basket in antique look, standing at 4 feet and atop a strap. 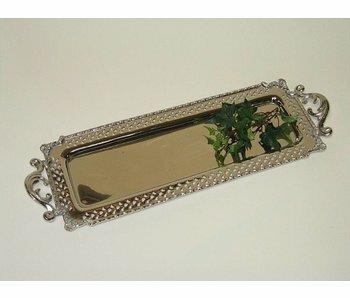 Inside a glass dish.Size: 20 cm long, 11 cm wide, height 21 cm. 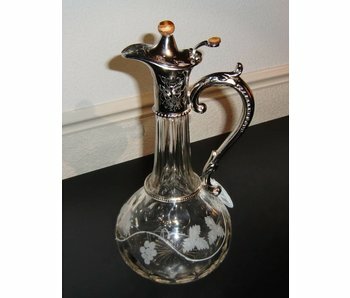 Wine carafe with spout, made of hand-cut glass with grape patterns. 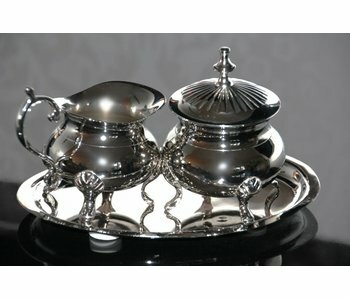 The handle and spout are also engraved. Height 32 cm, diameter 14 cm. 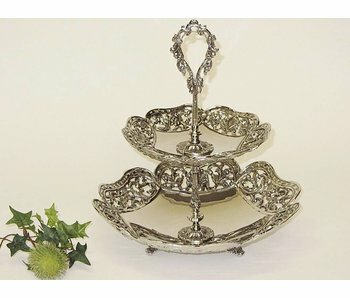 Classic Baroque cake stand in stylish design, to impress your guests. 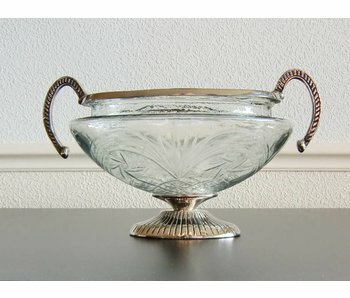 Hand made, with cut glass and nickle-plated brass. Size 27 x 27 cm, height 26 cm. 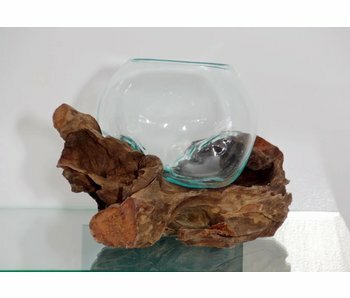 Beautiful glass bowl with cut glass and handles. The Baroque House of Classics brand stands for good quality and a special execution. Width 26 cm. 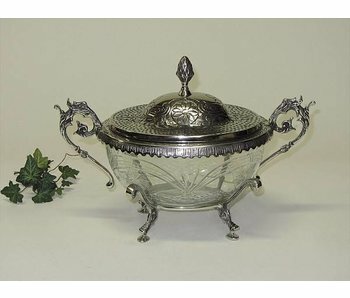 Oval glass bowl in baroque style, with cut glass for a perfect covered dish. 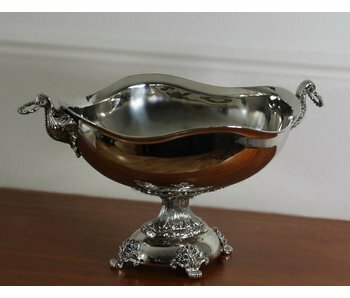 Nickel-plated, so it remains beautiful. 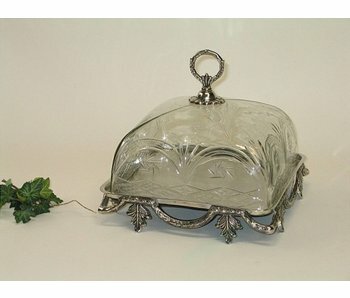 Width 40 cm x 20 cm and height 22 cm. 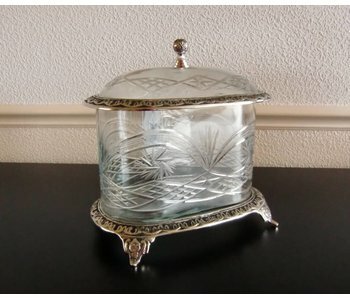 Sugar castor in baroque style. Height 24 cm. 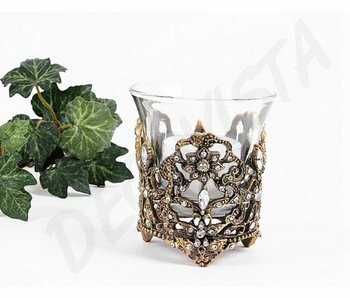 Our Baroque styled accessories from the label \'Baroque House of Classics\' are of good quality and design. 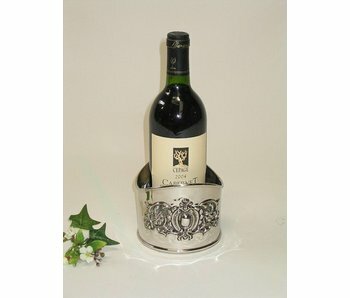 Short size wine cooler in baroque style. Height 10 cm. Our collection includes handmade table accessories Baroque House of Classics, coloured objects by Toms Drags, Rocaflor and other brands.